The accelerated economic growth in Malaysia at a rate of 5.8% has lead to widening income gap between states and household income group. To ensure inclusive growth, Malaysia under its 11th Malaysian Plan introduces “Enhancing inclusiveness towards an equitable society” as one of the six strategic thrust. This enables all Malaysians regardless of gender, ethnicity, socio-economic level and geographic location to participate in and benefit from Malaysia’s prosperity. Some initiatives implemented by the government include eRezeki, eUsahawan, High Impact Progam 6 and Mainstreaming Grassroots Innovation. All these focus to improve accessibility to education, innovation, social entrepreneurship and employability among the grassroots. One social entrepreneur whom I met that received support from the government through such program is Mdm Teng Yu Mein, a housewife from Klang Valley. Being a housewife, she places focus on her husband and their only son, repeating routine household chores everyday. After speaking to her, I realised that she is not any ordinary housewife, but one who is talented, determined and dreamed of becoming a social entrepreneur. 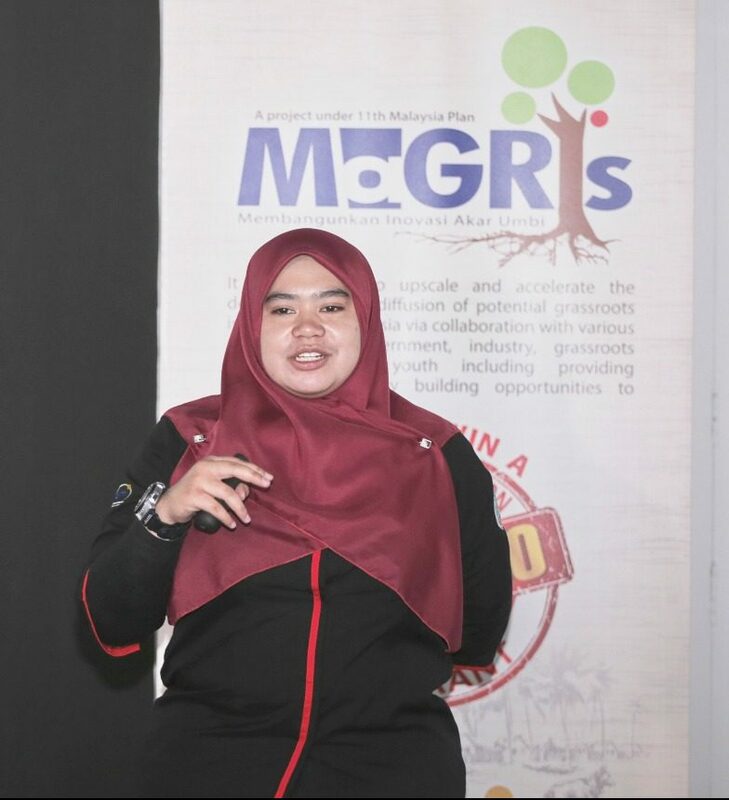 It is only for the sake of her family that she delayed realising her dream and chose instead to stay home as full time housewife, despite receiving entrepreneurship award during her younger days. Yu Mein’s dream is to help the underserved community especially those living in the rural remote areas improve their socioeconomic well-being. During her free time, she will deliver cooking oil, medical essentials and other household necessities to the indigenous communities in rural remote areas. According to Yu Mein, there are still many households who face challenges in accessing uninterrupted clean water supply, particularly during dry season. Sometimes, even the Rural Water Supply Department finds it difficult delivering portable water to them due to unfavourable road condition. The communities who live deep inside these remote areas have no choice but to temporarily accept the unfavourable situation while waiting for government aid. “When there is no running tap water, we are forced to take water from the river or sometimes by harvesting rain water. However, these water are untreated and often come with sediments which is unhealthy to drink” – said one of the villager. 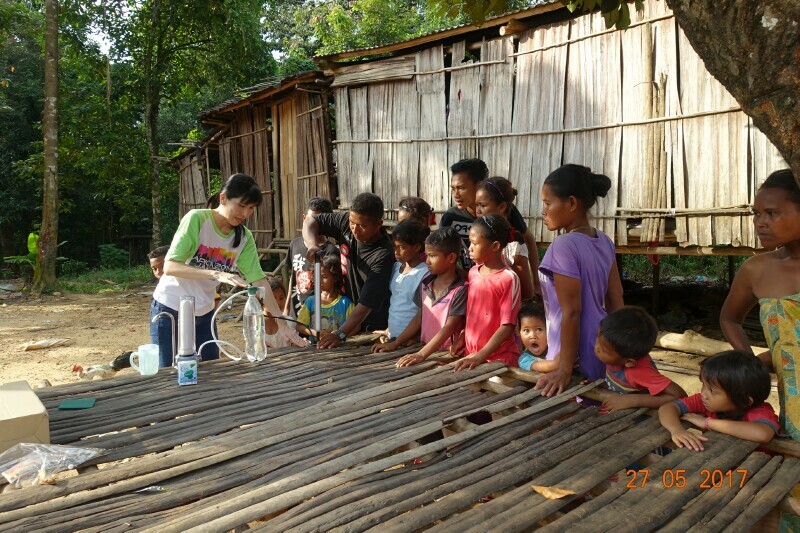 Yu Mein is determined to solve this problem and therefore decided to innovate a portable water filtration system that can be used even when there is no running water. Being wife to a well-known grassroots innovator in Malaysia, she therefore decided to seek advice from her husband. With his support and encouragement, Yu Mein joined a government innovation competition and successfully received a small grant to prototype her idea. She has thus developed Efinity EZ Water Filter Cap, a simple innovation to facilitate the transfer of water from stagnant water into selected water filter using a pump to produce clean water. According to her, this cap is a simple innovation but good enough to temporarily provide filtered water in time of need. “I am lucky because my husband is willing to sacrifice his engagement as the judge of the competition so that I can become one of the participant” said Yu Mein. 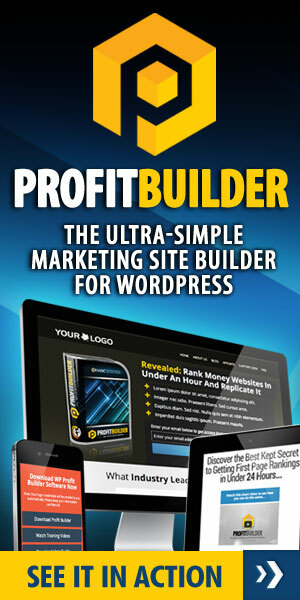 Initially, Yu Mein only focused to build a functional product. However, throughout the innovation process, the support and knowledge provided by her designated mentor has taught her the importance to strike a balance between product functionality, cost and marketability. With the knowledge gained, she managed to produce a functional yet affordable product that is marketable and can cater for the temporary needs of the said community. “Our project coordinator Puan Syahirah Jalil and Madam Caroline Ang are very strict with their expectation. They expect me to produce product not only with acceptable quality but also using the least cost. Initially I was not used to the control they imposed on me, but gradually I realised this is the only way towards becoming a real sustainable social entrepreneur,” said Yu Mein. Despite receiving orders even before the products were ready, Yu Mein fully understand that it was only the first step of commercialisation, and she is far from being successful. Therefore, together with her family, they continuously promote Efinity EZ Water Filter Cap through exhibitions, visits to humanitarian organisations & government agencies; including actively promote on Facebook. To make her product more comprehensive for commercialisation, Yu Mein packaged the cap with affordable pump and water filter, creating an integrated and portable water filter system. Many innovators fail due to lack of continuous improvement made to existing innovation but for Yu Mein, her effort to make incremental improvement to her innovation is commendable. This is the kind of must-have attitude in all innovators in order to achieve success. 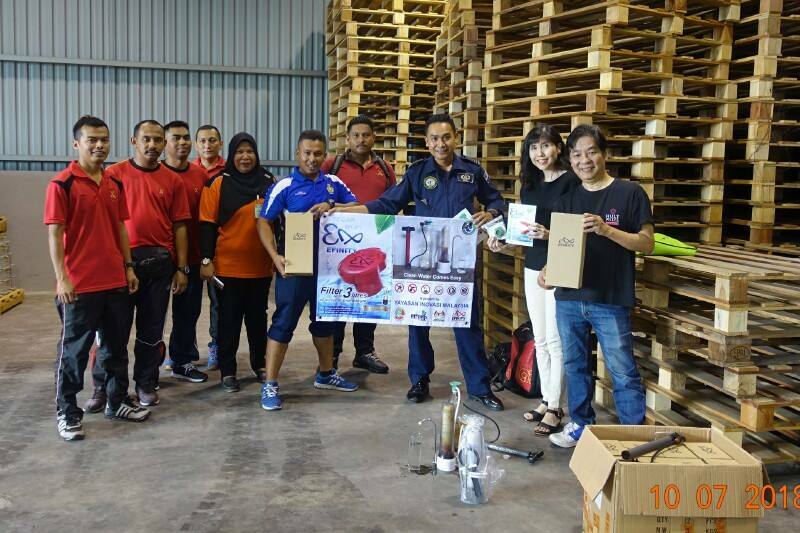 Efinity EZ Water Filter System has now been used to help Rohingya Muslim refugees in Bangladesh via humanitarian effort initiated by Malaysian Consultative Council for Islamic Organisations (MAPIM). 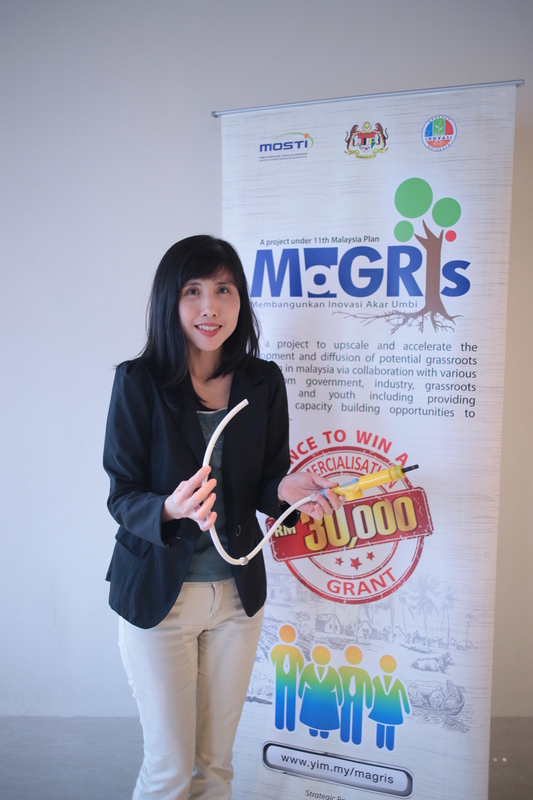 Yu Mein considered this as one of her pride for able to push Malaysian grassroots innovation into the international market. Currently, her products have reached not only Bangladesh but also Sri Lanka and Myanmar. In Malaysia, her product is used by communities in Tombotuan Village Sabah, Simpai Village Pahang and Who Village Perak. 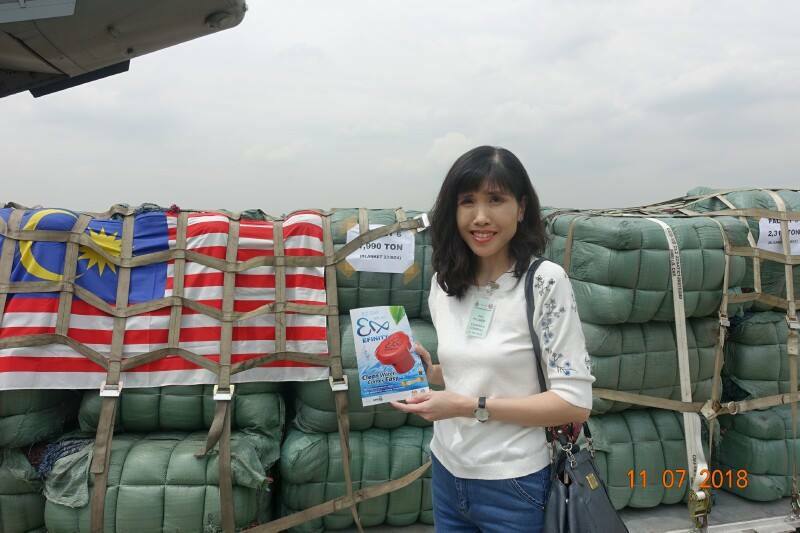 “I am happy to prove that Malaysian grassroots innovation not only has value in supporting humanitarian cause but is equally viable for commercialisation up to international level,” said Yu Mein. With her newly setup Efinity Social Enterprise, she is determined to continue her mission in supporting the underserved communities to achieve inclusive growth. She is planning to raise more capital to make Efinity EZ Water Filter System more compact, smaller in size and more affordable, to facilitate cheaper delivery. Yu Mein believes stay-at-home women are more compassionate, community-driven, resilient, and are natural social entrepreneur. In fact, she strongly feel that female-led enterprises can produce more significant impact on social economic opportunities of households to encourage inclusive growth. However to make this a reality, a supportive husband plays critical role, therefore a dedicated program should be tailored specifically for stay-at-home women. Yu Mein hopes the government can look into this, empower housewife to become social entrepreneur, thus creating impactful change to the underserved communities. For those who are interested to know more about Efinity EZ Water Filter System, please visit Facebook page of Efinity Social Enterprise.